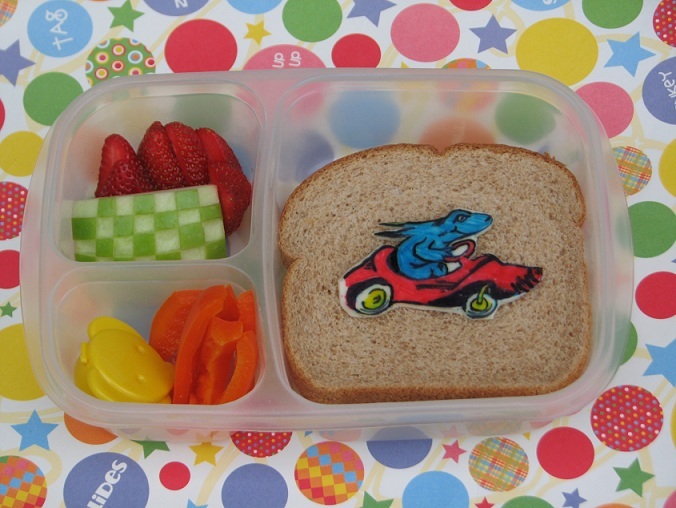 I am having a lot of fun making Dr.Suess themed lunches this week! And even better, Kidlet has been loving it too! I figured we couldn't leave the week without a little One Fish, Two Fish love. I absolutely adore the fish in the car....he always cracks me up! Super cool , that fish!